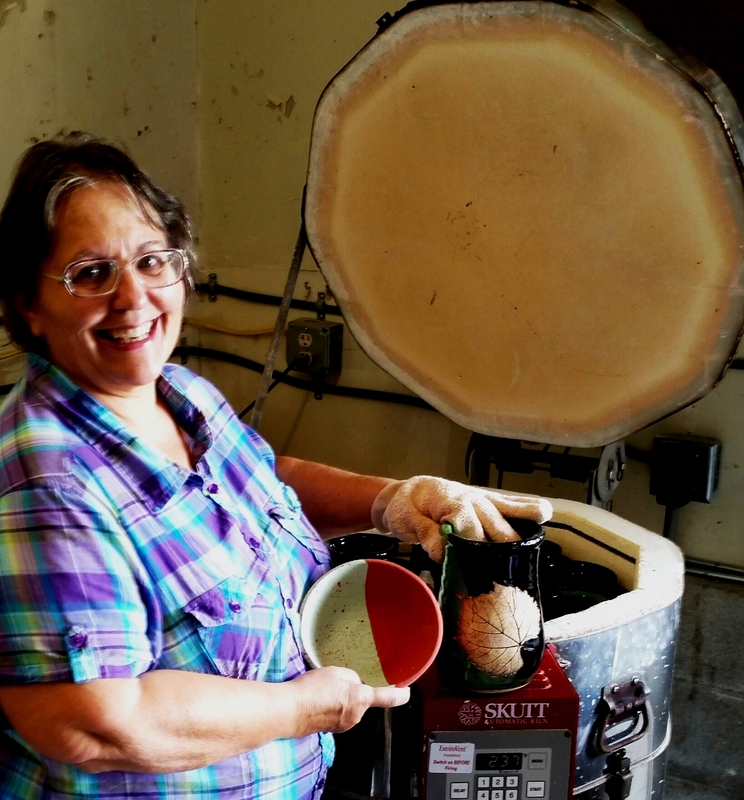 I am an Ohio potter currently living in Lancaster, Ohio. I began my career as an elementary teacher and finished my last 20 years as a building principal and school superintendent. Still in my early 50s I looked for an enjoyable post-retirement career. My wife, my head glazer, basically told me I had to get out of the house and do something. While substitute teaching in a local high school ceramics’ class, I found joy playing with mud. I had studied ceramics over 30 years ago at Baldwin Wallace College, as an undergraduate student. The latent skills and love of clay came back quickly. To enhance my skills, I took several ceramic classes at Defiance College under the direction of Brandon Knott. I finished my training at Bowling Green State University under nationally known artist Joseph Pinz. I am Jim’s wife, mother to our three children and RN since 1981. The majority of my career has been spent working in Obstetrics. I am awed by the beauty of God’s creation in the tiniest flower to the birthing of a newborn babe. 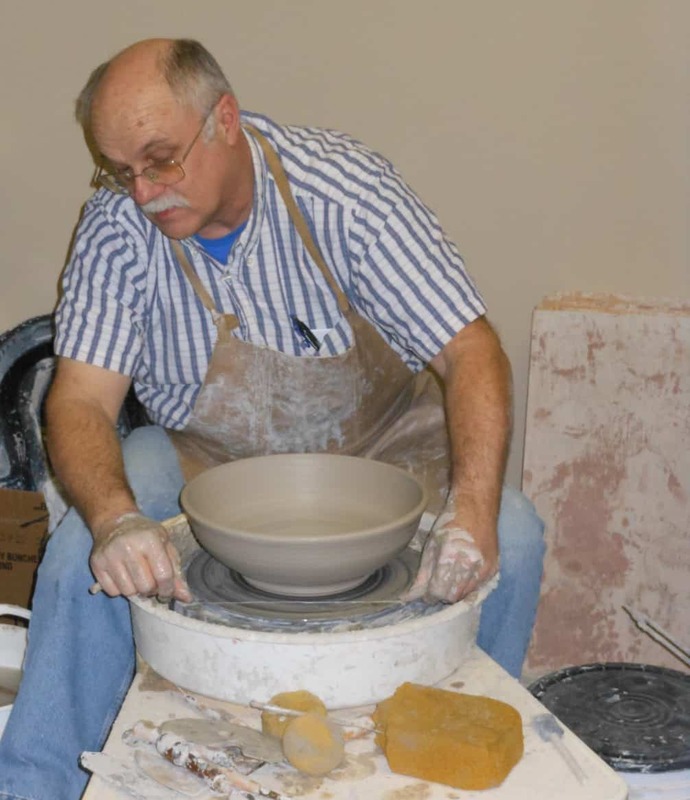 Jim asked me to help glaze the pots he had made in a pottery class. I went with him to the college and found only neutral, brown and blue colors of glaze. We glazed together and it was interesting seeing the finished products. When Jim decided to start his pottery business, he said his college professor recommended picking 5, maybe 6 colors. Otherwise it becomes too confusing. I have loved colors as long as I can recall. Many times I told Jim “We have to have color. Women love color and women buy pottery.” He humored me. 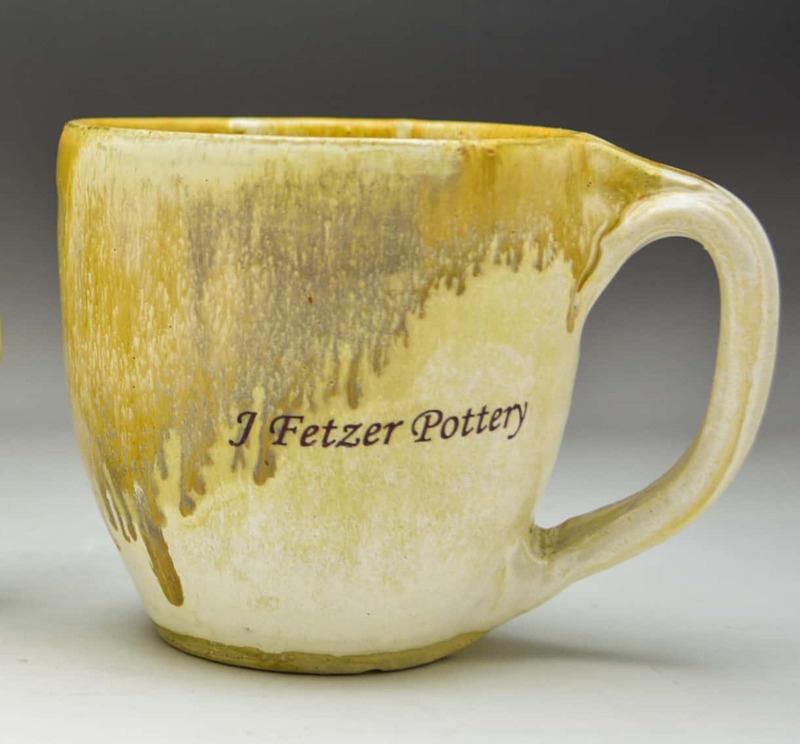 Jim mixed many different glazes — some were good, some were awful. So we tried lots of recipes and have had as many as 26 glazes in 5 gallon buckets at one time. When we published our first website in 2014, we streamlined our color combinations. Every time we unload a kiln it feels like Christmas to me to seeing the transformation of each pot and the pleasing colors.